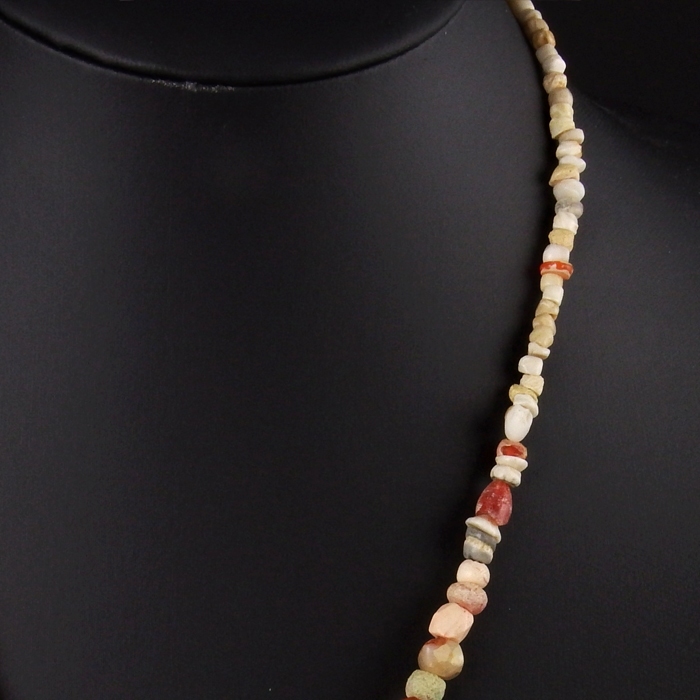 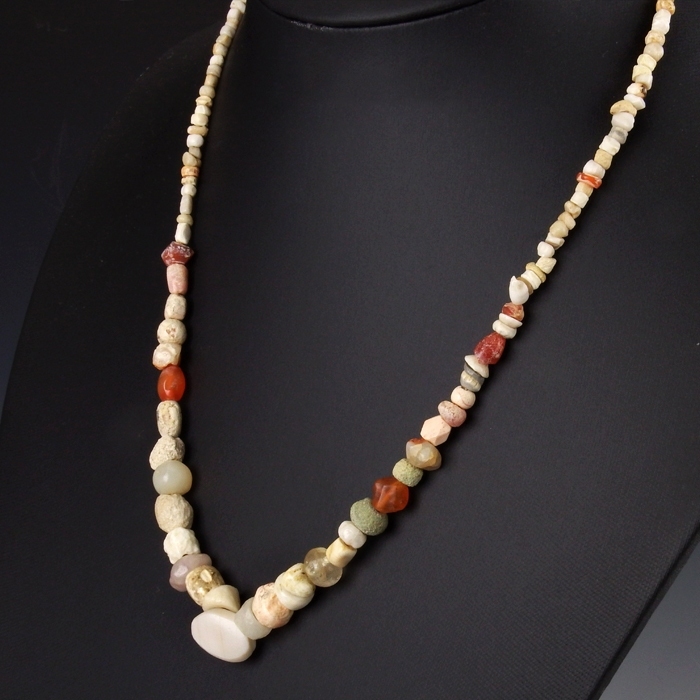 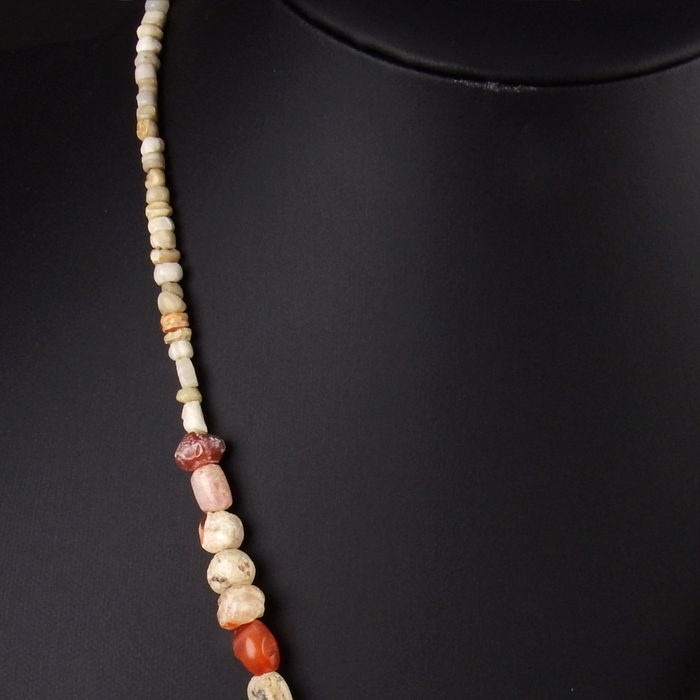 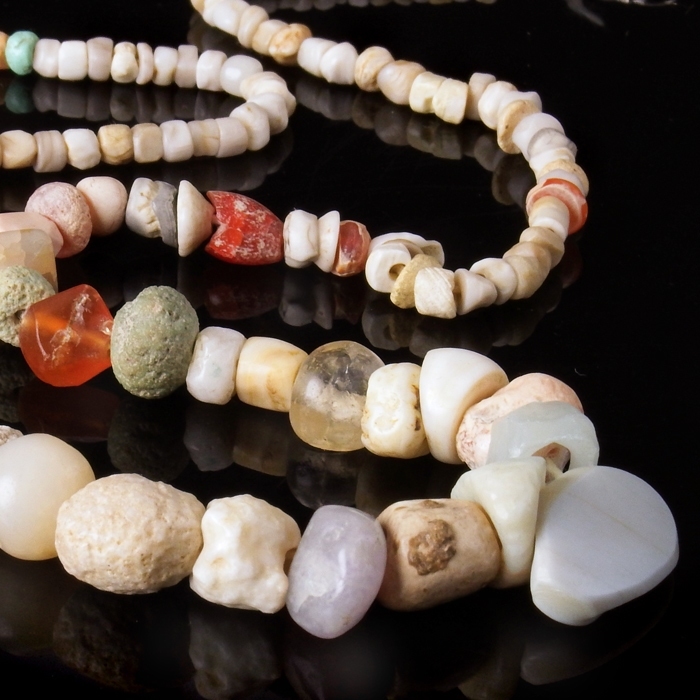 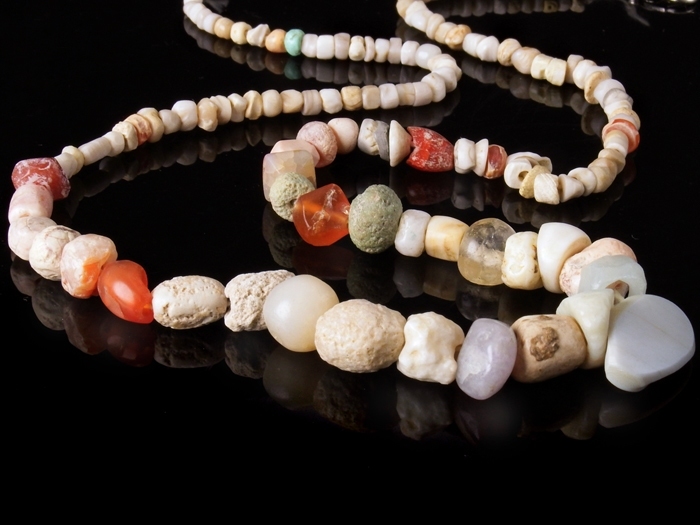 Necklace with ancient beads of various material, shapes and colors. 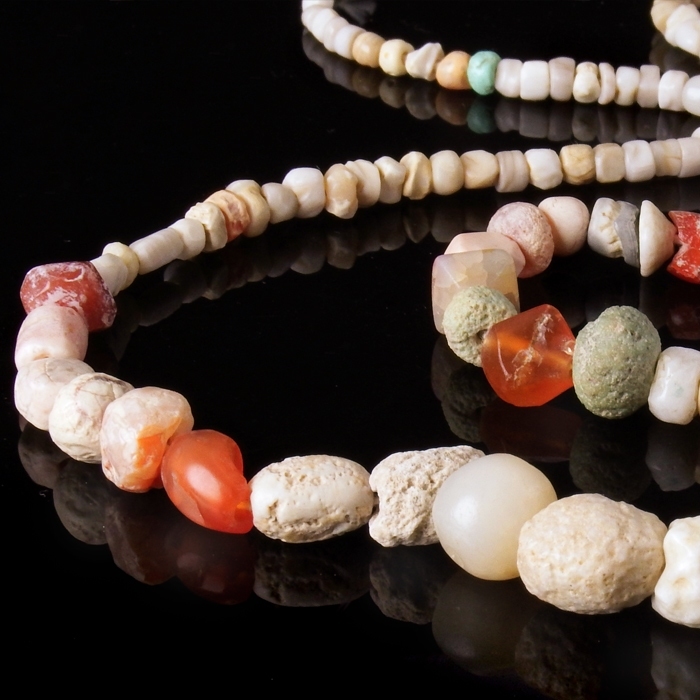 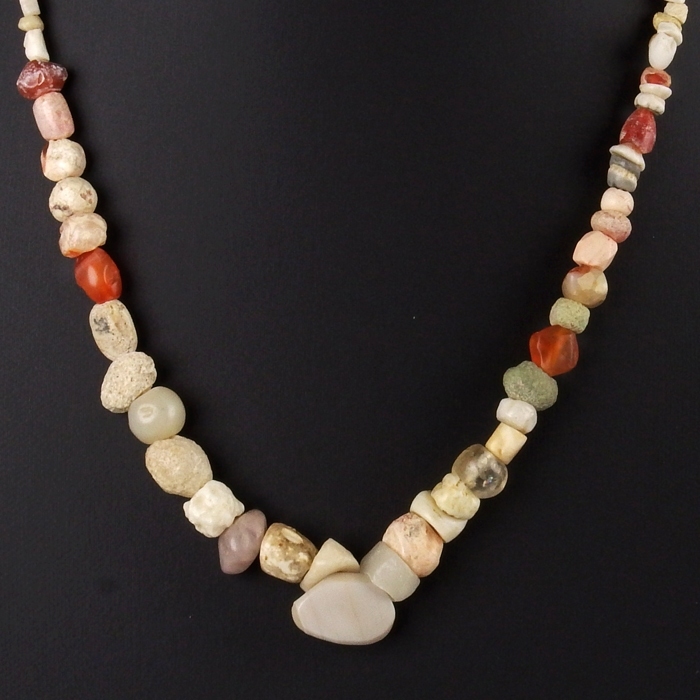 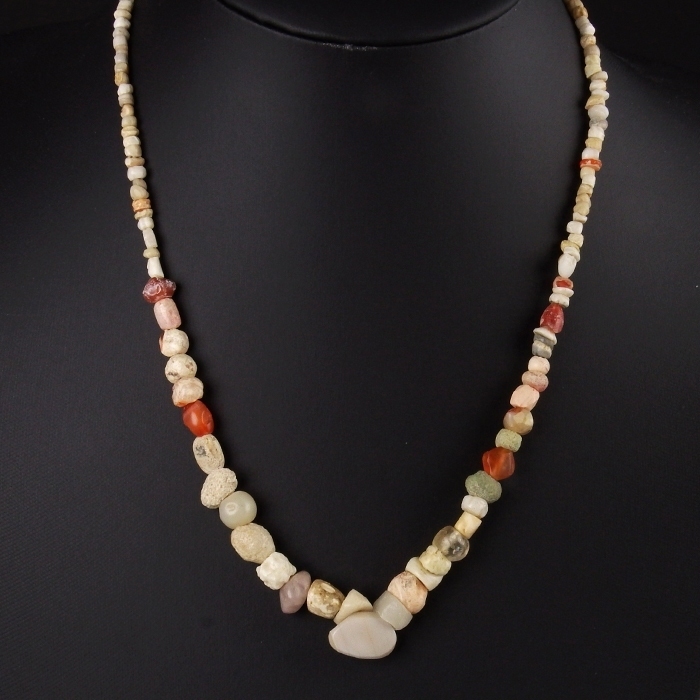 Included are stone, faience, carnelian, shell and rock crystal beads. 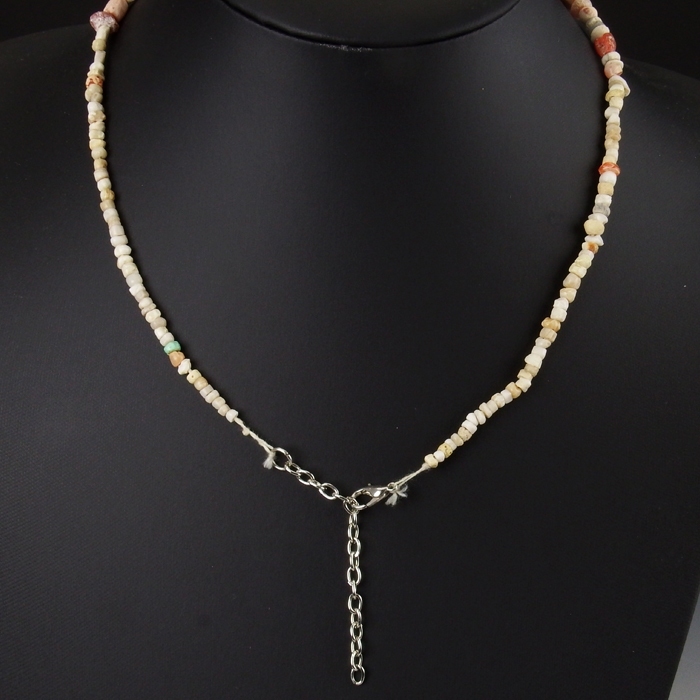 Restrung with authentic ancient beads and wearable (clasp).